To honor those Veterans who have sacrifice so much in the defense of our country. 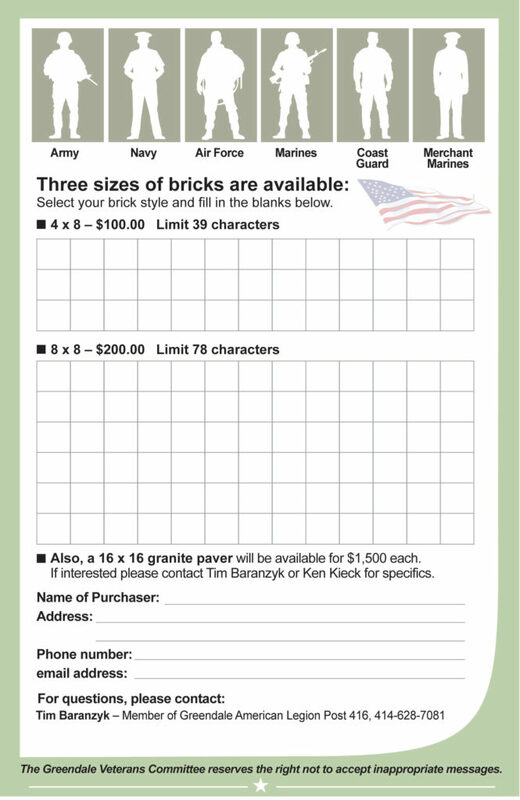 Mail or call in your Memorial Brick orders please. Or donate to the Memorial Project online. 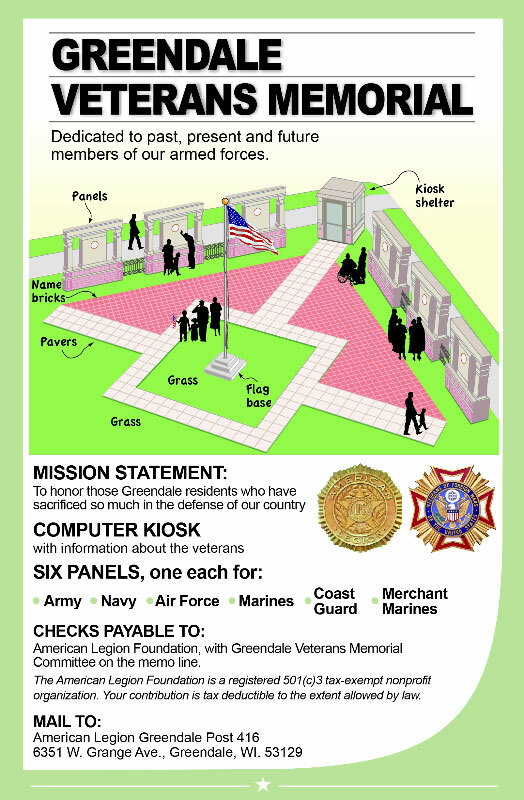 American Legion Foundation with Greendale Veterans Memorial on the memo line. *The American Legion Foundation is a registered 501(c)3 tax-exempt nonprofit organization. Your contribution is tax deductible to the extent allowed by law.